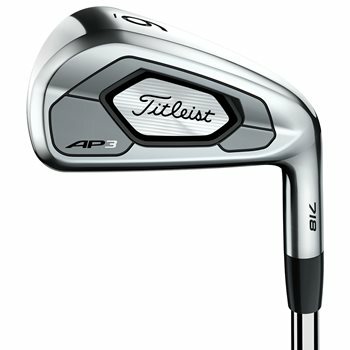 The Titleist 718 AP3 iron is the longest, fastest player’s iron ever created by Titleist. The hollow-blade construction combined with L-Face inserts launch long and high with shot stopping spin, even on longer shots. Off-center performance of a game improvement iron is packed into a club that delivers the feel of a player’s iron; precise when you pure it and forgiving when you don’t. The new, preferred player’s shape inspires confidence and appeals to golfers needing distance and forgiveness while maintaining control and solid feel. More workable than the AP1 and more forgiving than the AP2. Can we have some more pictures of the clubs? Face, backing, shaft, grip? Unfortunately, due to the size of our inventory and multiple shipping locations, we are unable to provide actual pictures of a specific set. Only the representative photos that are shown. As what I have found out, in other shopping websites, they say standard shaft length is 38" and your standard is saying 37.5" and why is it different? and also as long as I have to buy the clubs without looking the picture, is there any policy for returning when i dont find the condition is equal to what i have been explained ? We list the length of the 6 irons which is 37.5" per Titleist website. The 5 iron is 38" which other sites list. do I have a chance to choose the grips at least? and haven’t got the answer for my last question about the return policy.